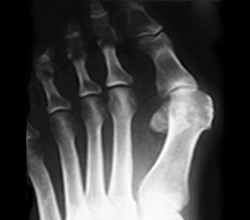 Along with an inherited disposition, Hallux valgus (bunion) can be caused by weak connective tissue as well as load deformities as a result of flatfoot, splayfoot and skew foot, chronic inflammation or injuries caused by accidents. 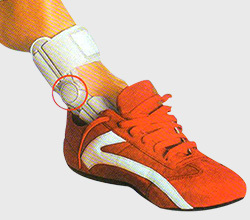 By the way, wearing tight, pointy shoes and high heels (over 3 – 4 centimeters) is not the cause of the deformation, it can, however substantially contribute to the development of a commencing Hallux valgus. Acquired load deformity as a result of flatfoot, splayfoot and skew foot. deterioration of the base joint due to arthrosis and gout. constitutional tissue weakness and muscular dysfunction. muscle and nerve damage, neurological dysfunction, chronic inflammations, accidents.